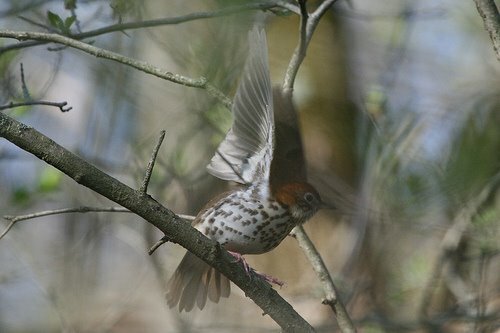 Wood Thrush~ A Song of Praise! This is from “SIGH”, a collection of inspirational moments. After a close brush with death this last Saturday, the song of this bird seems even more beautiful to me!! If you get a moment, click on the title, it will take you to a page on the Wood Thrush, where you can see this wonder and listen to what I hear each day!! steeped in the indigo shadows of night. speckled brown with sunlight streaks. and fall through the air like crystal rain. until the hush of twilight’s calling.